The perfect way to enjoy your garden. Suitable for any style garden, the Cheltenham Arbour features pressure treated and FSC® Certified wood and comes with a 10 year guarantee against rot. Enjoy the summer evenings in the relaxing surroundings of your garden. 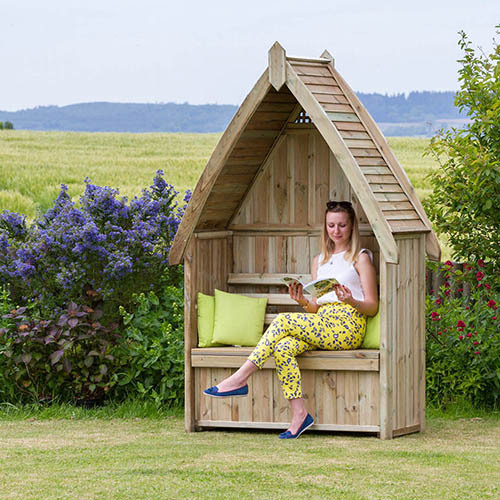 Suitable for any style garden, the Cheltenham Arbour features pressure treated and FSC® Certified wood and comes with a 10 year guarantee against rot, which means its strong, durable and can be used year after year.